I’ve read what you wrote about slicing and dicing the Dramatica chart on your web site and in Dramticapedia. It’s very interesting. Q: If you don’t explore Plot, you don’t have the signposts. 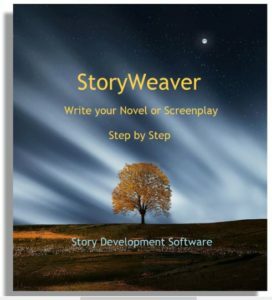 So how does your story move along? Q: In Dramatica I thought 3 throughlines — MC, OC and SS — were necessary to explore the conflict between the main and obstacle characters. I guess I didn’t get that right? Examples of those two approaches would be great of course! Two points: First, stories may be all about character growth. For example, a character may simply explore their feelings about life, people they know or thematic values and topics. There need be no events, happenings, or progress to illustrate how that character is growing, how the thematic message is evolving or how the genre is adding depth and richness as the story progresses. For example, look to the classic play, Waiting for Godot by Samuel Beckett. In this play there is no plot to speak of, yet the two principal characters progress along lines of growth or at least exploration of their feelings, make thematic points and establish a genre. Other stories in a similar stream of consciousness style (as also used by Virginia Woolf) while including events, do not concern themselves with creating a full-story meaning for the happenings, but simply a series of random occurrences which transpire. This illustrates a second approach to writing without plot, per se: to have things take place, but not to use them to convey meaning. In such a story, one is not exploring plot – in fact, one has not created a true plot, just sequence of events. These serve to give the characters something to do other than talk, yet are intentionally presented so that the reader or audience understands no message is contained in the jumble of activities. Virginia Woolf’s Orlando is an excellent example of this style. Also keep in mind that there is a big difference between a tale and a story. 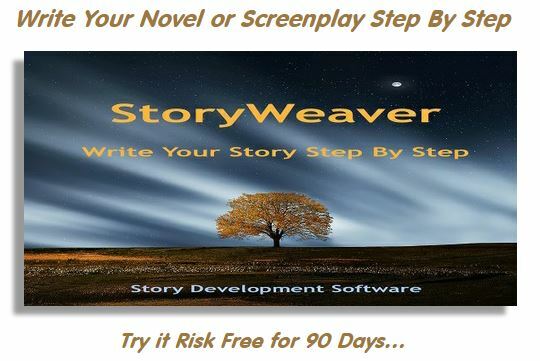 A tale is a simple linear progression of characters, plot, theme, and genre. A story uses each scene as a building block in a larger mosaic that creates a “big picture” message. So, even if the events make sense as a logical series of happenings and function well as a tale, this does not mean the events contribute as part of a story’s plot in terms of an overall message. Orlando, at times, does indicate a reason-based progression but its impact has little to do with the growth of the main character or the development of the theme. At most, it adds some elements to the genre, but in the storytelling sense, not structurally. Actually, all three throughlines are indeed necessary to exploring that conflict, but what if you don’t explore the conflict? Suppose you have a one-person show where the Main Character presents just his own reasons for what he did and his own value standards that he questioned in the process. You might explore all four levels of the Main Character throughline without ever mentioning the influence of an Obstacle Character, any Subjective Story conflict between the two, or even an Objective Story involving anyone else. Or suppose you have just a Obstacle Character explaining, “I had to change his mind… I knew he was on the wrong track. At first I appealed to his reason while sharing the bus together one day on the way to work. Failing any impact from that, I tried another tack, the passionate approach, and tried to invoke some sort of emotional response. And still, nothing.” This could be a wonderful opening to a story that only explored the Obstacle Character throughline without ever describing the Main Character’s point of view or the specific arguments between them. Just because characters are almost always built from elements doesn’t mean you can’t build them from the other levels of the Dramatica Table of Story Elements. At the level of the Table above the elements are the Variations. Though these are usually employed as the building blocks of the theme, they might equally be represented as characters instead. So, for example, you might have a character representing “hope” or “rationalization” or “wisdom”. In a Sliced story with only the variation level, you might choose to illustrate the Variations as characters and simply have each stating his or her (or its) belief in the preeminence of the quality it represents. Or, in a Diced story with only one throughline, you could mix it up so that the Variations are represented by characters, the Elements by the plot, the top “Class” level would indicate the thematic issue (such as Physics, external processes, seen as the focus of the theme) and the Types become the Genre components. Such stories are occasionally told, though they are not popular as they require an awful lot of work by the reader or audience to shift their minds around to see things in that way. It is not impossible, just difficult, and puts a burden of effort on the recipient of the story that normally resides with the author. Finally, consider that many of the stories told are not really stories but tales. As referenced above, a tale is nothing more than an unbroken chain of events and/or experiences that make logical and/or emotional sense. Tales are free of the restrictions and requirements that bind stories, and so they can be far more free form, make incomplete arguments just for effect, and can include any number of random happenings either for intended impact on the readers/audience or for simple convenience to the author, or for stream-of-consciousness expression as part of the creative effort. In such a case, any fragment or level of a story structure, sliced or diced, will easily mix into the overall word salad.